Every since my daughter was born every holiday is extra special to me because I get to spend them with someone I love so much. 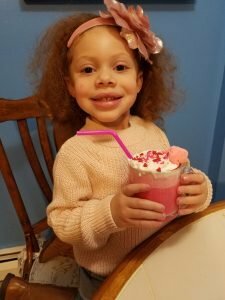 This Valentine’s Day I wanted to make my now 3-year-old a Valentine’s Day themed breakfast. 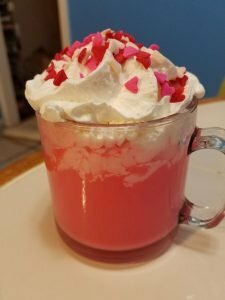 Since she loves milk and whipped cream I wanted to combine them to make her a special drink. This is how I came up with the idea for Cupid milk. It’s just a combination of two of her favorite things. 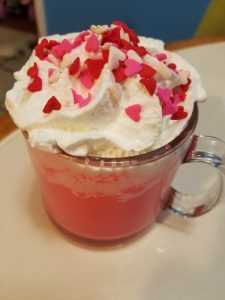 Cupid milk is a fast and easy to make Valentine’s Day themed drink. Since it’s easy to make it could be a good thing to make for a classroom Valentine’s Day celebration. Follow the steps below to make your very own Cupid milk. 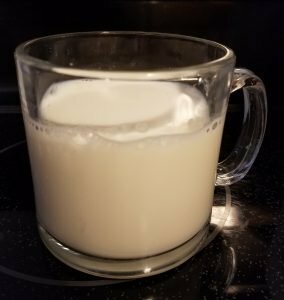 Step 1: Pour your milk into a clear cup. 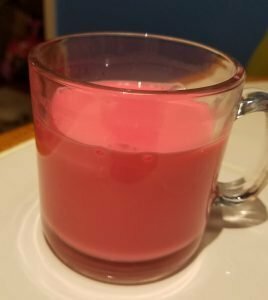 My daughter does not like strawberry milk, but you can skip the food coloring if you use strawberry milk. Step 2: Put a couple of drops of red food coloring into your milk. Again, if you used strawberry milk you can skip this step. Step 3: Decorate your Cupid milk with red sprinkles or with Valentine’s Day themed sprinkles. 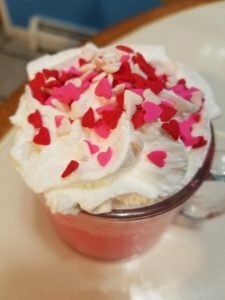 I was able to find red, pink and white heart sprinkles at Michael’s Craft stores. 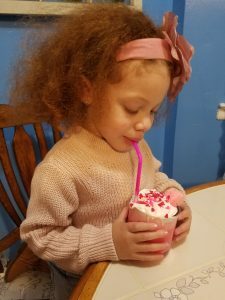 Step 4: Optional: I added a pink marshmallow to the edge of her cup. You can also add a strawberry or a Valentine’s Day cookie.